Roland Emmerich is one of those directors. After Universal Soldier and Stargate, he reinvented the modern disaster movie by adding as many explosions and pyrotechnics as he could fit into Independence Day. Upon bombing with his 1998 Godzilla reboot, Emmerich then retreated back to the commercial comfort of The Day After Tomorrow, 2012, and White House Down. He now finally returns to the story that blew up his career twenty years ago, continuing what he originally envisioned as a trilogy. 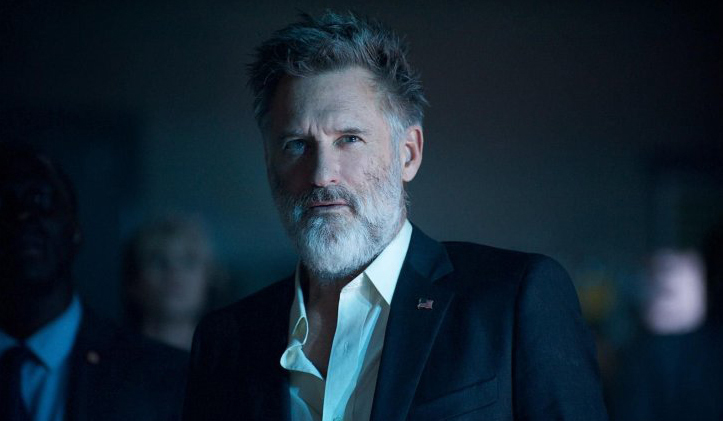 Independence Day: Resurgence may not have the bombastic impact of the original, nor its ballsy ingenuity, but it’s still better than you’d expect a two-decades-later sequel to be. In the two decades since the “War of 1996,” the world has banded together. It’s no utopia by any means, but all international warring had ended and the world’s countries have worked together not just to achieve peace but to prepare the world for the inevitable revenge of the invading aliens that humanity foiled. Of course, they do come back. And, as the poster’s tagline cleverly points out, while the humans have had twenty years to prepare for the second attack (including by utilizing alien tech to strengthen Earth’s defences), so have the aliens. What’s nice about Independence Day: Resurgence is how much character development it affords itself. There’s very little action prior to aliens’ arrival at the end of the first act, which gives Emmerich and his writers time to create more dimensional protagonists than in any movie of his since ID4. They’re just two-dimensional, but that’s still one more dimension than characters in a Transformers movie. 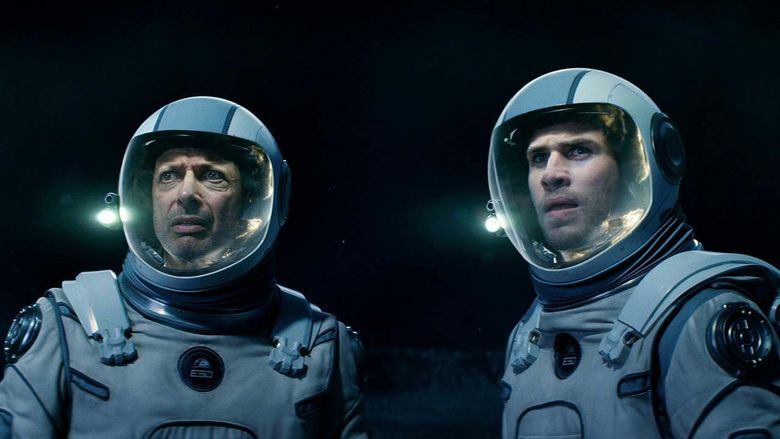 Among the returners are Jeff Goldblum as scientist David Levinson, now the director of Earth-Space Defence; Bill Pullman as former president Thomas Whitmore, now tormented by the still-open channel that receives alien signals into his brain; and Brent Spiner as eccentric alien researcher Dr. Okun, who awakens from a twenty-year coma upon the aliens’ return. New recruits for Resurgence include Liam Hemsworth as a hotshot pilot that fills the archetypal role vacated by Smith; Maika Monroe as Patricia Whitmore, the presidential daughter played by Mae Whitman in the original; Jessie Usher as the grown-up stepson of Smith’s air force pilot; Sela Ward as the current U.S. president; and William Fichtner as a high-ranking general who plays a bigger role than you first expect. Even more surprisingly rich than the characters is the camerawork this time around. While there aren’t as many iconic shots, seemingly framed to make for good use in posters and magazines, a lot of the sequences are filmed with remarkable restraint and skill. 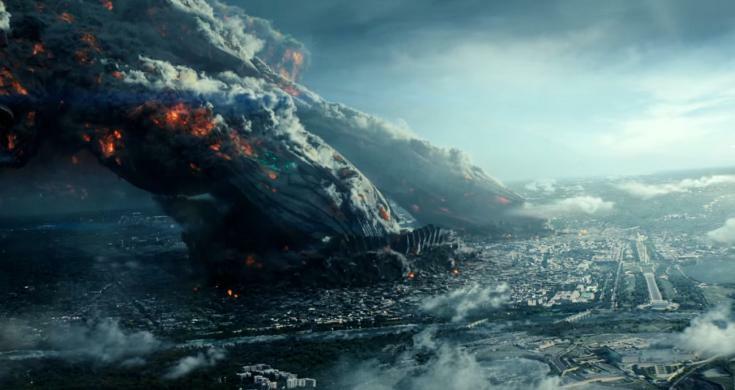 Emmerich is known for going over-the-top to the nth degree, but here, his control and deliberate pace allows for a good amount of beauty in between the destruction and fighting. 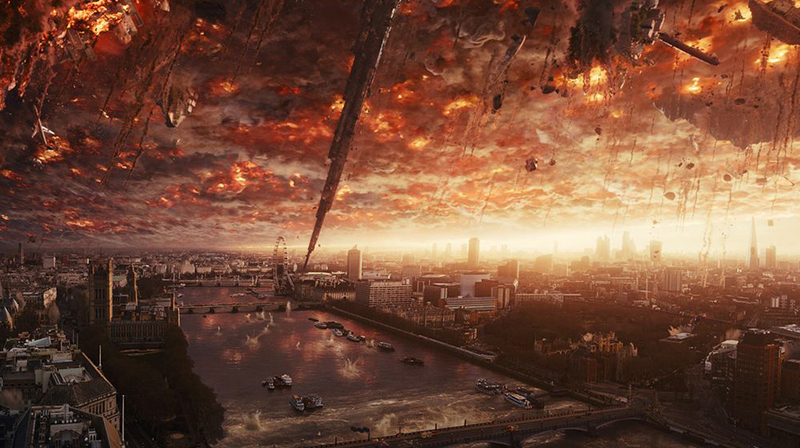 Unfortunately, Independence Day: Resurgence’s insistence on making everything bigger than its predecessors leads also to bigger problems in the script. ID4 smartly skirted the line between quality and cheese, understanding the value of tropes when used smartly. Resurgence uses those tropes, but not smartly, coming off as predictable or cliché at times instead of distractingly entertaining. 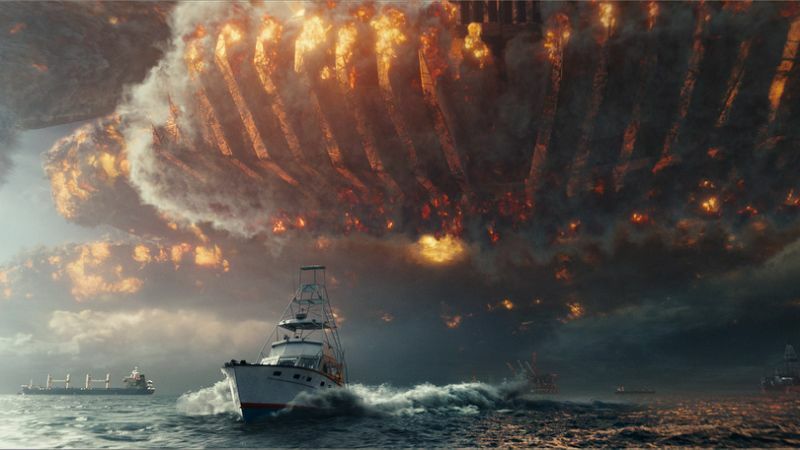 Both movies are stuffed with ridiculous impossibilities, but Independence Day had the bravado to succeed despite all the questions of plausibility the story stirred up. Resurgence is fighting too uphill a battle with too little intelligence this time to back up its bold decisions and with a sheer preposterousness in few too many of the scenes. It doesn’t even try to maintain its own continuity during its two-hour running time. When Lana and Lilly Wachowski tried to expand the world of The Matrix with their own action sci-fi trilogy, The Matrix Reloaded suffered because it tried to do more than what audiences wanted from the first movie’s encapsulated story. It’s too early to say how Resurgence will fit into the Independence Day trilogy — and yes, there is a third one coming, which has the opportunity to be the most truly astounding of the three — but it has the same effect The Matrix Reloaded did to its originator: It’s a fun ride in its own right, with a few really impressive sequences, but isn’t anywhere near as revolutionary as Independence Day was.